One of the biggest hurdles my clients face when it comes to working out is time. But when it comes to doing effective workouts, less is actually better in terms of weight/fat loss and overall health. Does it ever feel like you just can't quite get full? Does it feel nearly impossible to resist the treats and junk at work, holidays parties, coffee shops, etc? This peach oatmeal is so good it's wrong. 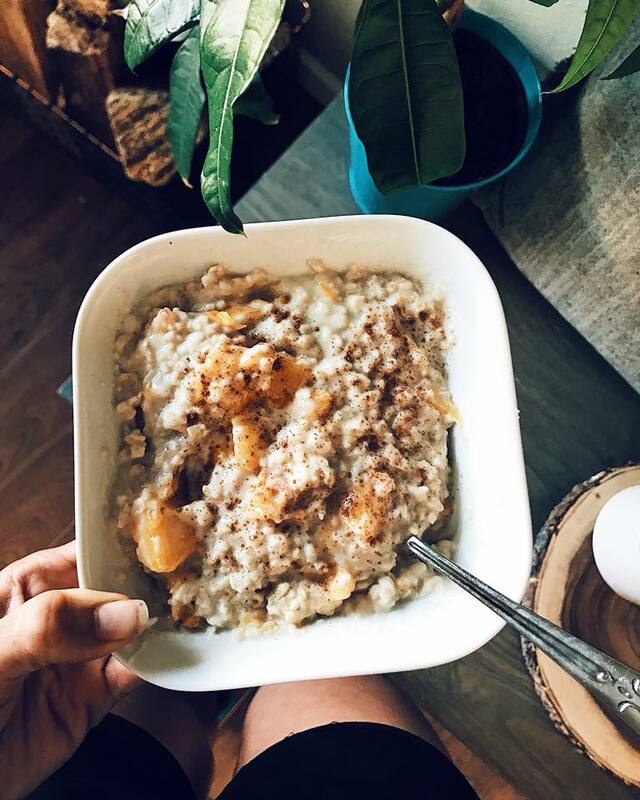 Colorado has some of the best peaches known to man and we decided to throw them in our oatmeal this week which was the best decision I've made in a long time.